Not much stays the same these days but the Blackhawks still play smash mouth hockey and their logo remains extremely similar to the one designed by Frederic McLaughlin's wife when only six teams played in the NHL. Put Tommy Hawk on your cuff. 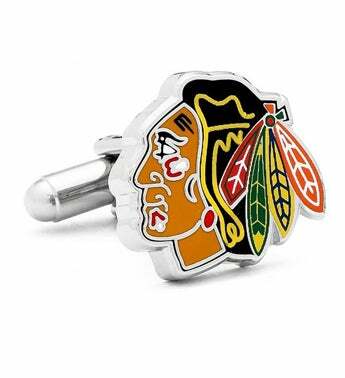 Chicago Blackhawks logo cuff links on a nickel plated setting.